This colorful packet of wild Kansas sunflower seeds features an early 20th century image from the collections of the Kansas Historical Society. 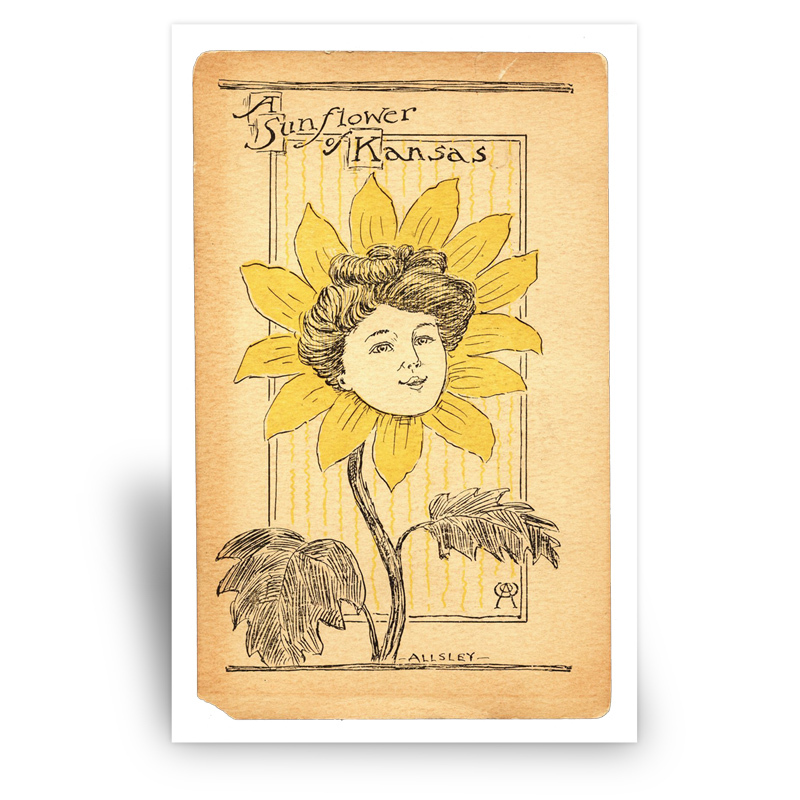 In 1903 Kansas adopted the vibrant Helianthus as the state flower. Today the plant has become an important crop and a popular symbol of the state.